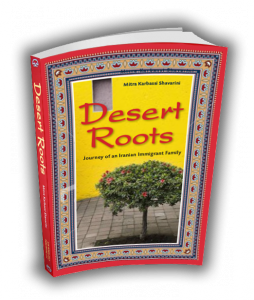 Tag Archive | "Desert Roots"
Nonviolent Initiative for Democracy (NID): Experience migration’s triumphs and defeats, losses and gains as an Iranian immigrant family pursues that familiar hunger called “the American dream.” Join us as the author Mitra K. Shavarini discusses her latest book, Desert Roots, journey of an Iranian immigrant family, a deeply personal narrative chronicling her parents’ remarkable journey to America and then back again to Iran. 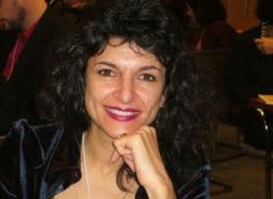 Mitra K. Shavarini holds a doctorate from Harvard’s Graduate School of Education. 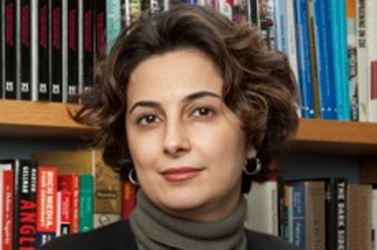 She is a lecturer in Peace, Conflict, and Coexistence Studies and Women’s and Gender Studies at Brandeis University. Her work has appeared in Harvard Educational Review, Teacher’s College Record, International Journal of Middle East Studies, and Women’s Studies International Forum.